The procedure uses short incisions around the chin and neck to tighten skin and erase wrinkles. The incision is made in the natural crease in front of the ear, so any scarring is hidden and unnoticeable. 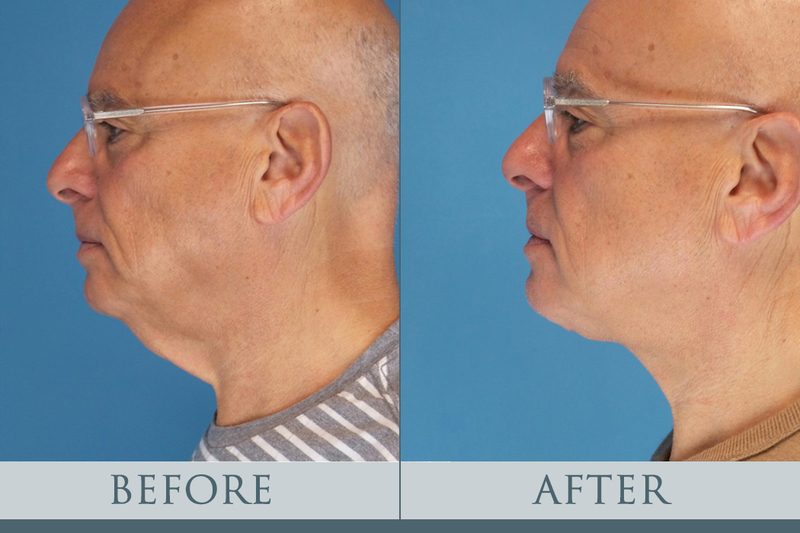 Through this incision, we’re able to detach the skin from the cheeks up to the corner of the jaw near the neck. The underlying muscles are tightened and lifted vertically, creating a firm and smooth appearance. The procedure takes a maximum of 3 hours, and recovery is smooth. This standout patient was back to his regular activities in one week, with minimal bruising and scarring fading quickly. If you may be interested in the MACS facelift or any of our other facelift procedures, please call us today to schedule your free consultation. The technique used for your facelift will be entirely dependent on your natural features and your preferences. During your initial consultation, we will listen carefully to your concerns, assess your facial features, and customize your treatment options to best provide you with a natural, refreshed facial appearance. Call us at (404) 257-9888 if you’re interested!